Everything you need to start playing today! Top F# key. 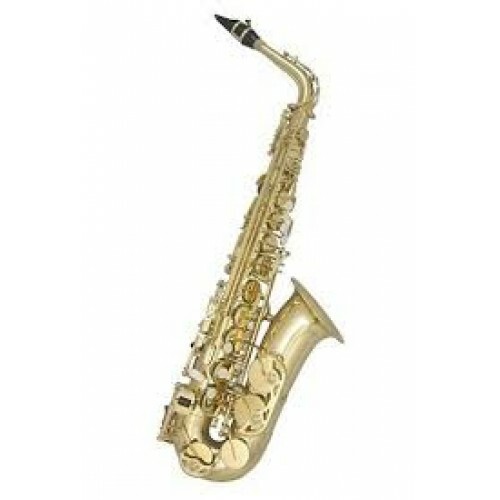 This extra top note was introduced on most saxes in the 1960's and most teachers recommend it. Fully gold lacquered with engraved bell. Easy to clean and looks beautiful. Double arms on bell keys to maintain a good set-up. This might not mean much to you but it's a sign of a better quality sax. Yamaha mouthpiece (with cap & ligature.) Widely regarded by teachers Worldwide as the best model for students. Hard but ultra lightweight shaped case with back-pack straps & outer pocket.